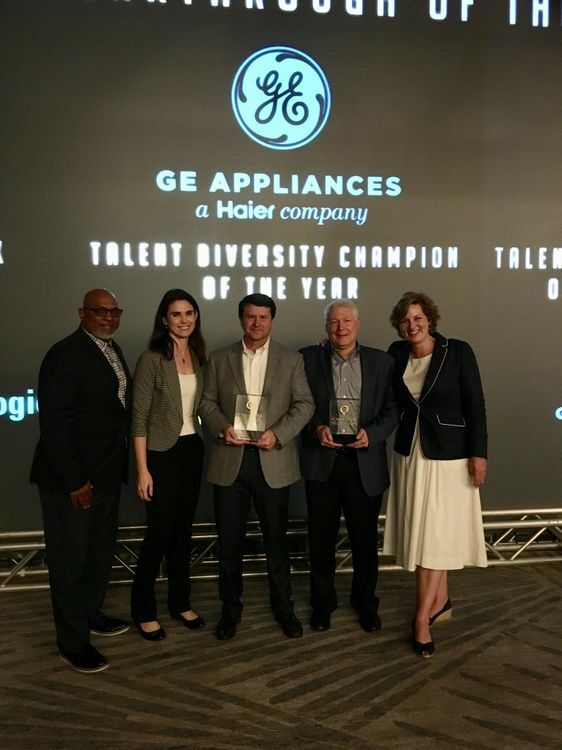 GE Appliances receives global recognition for workforce development, winning two 2019 Power of the Profession awards from SCM World Gartner. Pictured left to right from GE Appliances: A.J. Hubbard, senior director of inclusion and diversity; Marcia Brey, executive director of lean enterprise; Bill Good, vice president of supply chain; Tom Quick, vice president of human resources; and Melanie Cook, chief operating officer.